The bank is closing its Anstruther branch one further day a week, while in Cupar the branch will revert to three days. Willie Rennie MSP described it as “another blow” to the towns. TSB will inform customers of the reasons why opening hours are being cut this week. “Our customers use banking services in different ways and the way they bank has and continues to change,” it said. Customer usage has dropped just two per cent in Anstruther in 12 months, but it will still be open one less day a week from July. This will mean the doors will only open close a Monday, Wednesday and Friday between. The bank insists some 76 per cent of customers in Anstruther use another branch, telephone or digital banking. Cupar has seen an eight per cent drop in usage. From July it will reduce its opening hours to Monday, Tuesday and Friday. Information notices will be sent to customers later this week. Mr Rennie said he was dismayed to hear of the cutbacks. 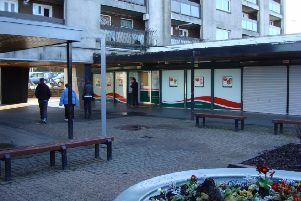 He said: “This is another blow to the residents of North East Fife where changes to opening times and, even more worryingly, bank closures are becoming increasingly frequent. “TSB’s change of hours comes hot on the heels of news about Santander’s closure. Our High Streets are under a lot of pressure and too many local banks are buckling. This is a really concerning trend.